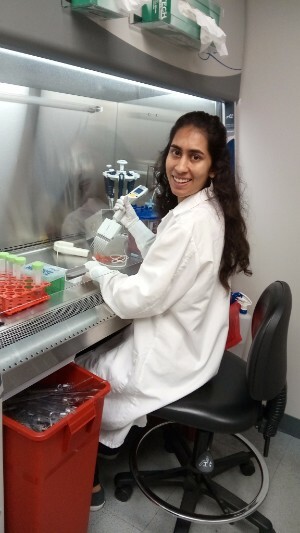 Uma Mahajan spent the summer in a white coat in a Case Western Reserve University genetics lab, studying brain development at the molecular level as part of a team seeking to uncover causes of autism. Merit Glover pursued her research all over the map. 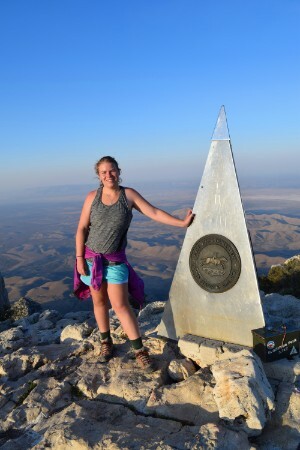 The theater major crisscrossed the country visiting national parks and historic sites, collecting material for a play she's writing about the National Park Service. Their common bond: university grants to make their endeavors possible. The focus on student research and scholarship is at the heart of university programs such as SOURCE—Support of Undergraduate Research & Creative Endeavors, which provided awards to Mahajan and Glover—as well as SAGES seminars, which inspire ideas and demand deeper inquiry. Further stoking creative thinking is the University Circle neighborhood, which presents an uncommon pool of research opportunities. Students are in walking distance of world-class medical centers and museums with their own research initiatives and partnerships. "This is a great location for students who are interested in research—it's unbelievable," said Sheila Pedigo, PhD, director of SOURCE, which receives funding from multiple entities, including the university and the Case Alumni Association. This summer, SOURCE funded 76 undergraduate research projects, about 20 percent of them in the arts and humanities. Its grants are typically $3,500 and help make it possible for students to pursue new insight and knowledge. The stories that follow are about four SOURCE-funded students who spent their summer vacations doing research on campus and off, exploring new territory or revisiting old haunts with a scholar's eyes. At her bench in the genetics lab on the seventh floor of the Biomedical Research Building on campus, Uma Mahajan threw open a laptop and scanned a bright-colored image of a tissue sample. Suddenly, she was up, quick-stepping down the hall to the culture room, where she peeked in on "mini brains" brewing in an incubator, before racing back to a microscope that kept revealing wonders. A runner, she finds the same kind of exhilaration and excitement in scientific research as she did discovering new sights near her home in the San Francisco Bay Area. "Science can be hard and frustrating at times, when results aren't as predicted, but it's incredibly cool," Mahajan, a systems biology major, said a bit breathlessly. "I'm so gratified to be a part of [this] research." At 19, Mahajan was among the youngest members of a team exploring the molecular causes of autism using cerebral organoids, also known as artificial mini brains. She and her colleagues were growing the tiny 3-D models of human brains made using stem cells from human skin. The research techniques are state of the art. The results could offer answers about autism, a condition that affects growing numbers of children. Some researchers suspect it results from cell growth gone awry while the brain is developing prenatally and early in life. By mimicking the developing brain, the team aims to spy where something is going wrong. "It's very exciting for me to be able to play a piece in the puzzle," said Mahajan, now a junior. She shared a bench with Luke Bury, PhD (GRS '15, pharmacology), a postdoctoral researcher in the lab of Anthony Wynshaw-Boris, MD, PhD (GRS '84, biochemistry; MED '87), chair of the Department of Genetics and Genome Sciences and the James H. Jewell MD Med '34 Professor of Genetics at the School of Medicine. "She's basically doing graduate-level research," Bury said, adding that Mahajan and other undergraduates brought skills and energy that are helping to drive projects faster. Mahajan said she had many options for college. But Case Western Reserve offered a slot in a program granting undergraduate admission and conditional admission to the medical school—plus the chance to do big-league research. And now she knows she wants to be a physician as well as a researcher so she can be on the front lines of discovering cures. Coming to Case Western Reserve "has given me so many opportunities," Mahajan said. "It's so intriguing to be on the cutting edge. And to be making a difference." Merit Glover's car slid off a dirt road and into a runoff ditch near Gila Cliff Dwellings National Monument. Stuck in the mud, with no cellphone reception, Glover and her traveling companion, fellow Case Western Reserve student Jonah Roth, left the car to try to find help. As they waited for a tow truck at a house about a mile from the ditch, the homeowner, a retired welder, regaled them with stories of the metalwork that adorned his property. He also praised U.S. Forest Service rangers for preventing forest fires from reaching his land. The conversation was tantalizing for a playwright looking for plot points. "He was just this incredible character we met in the mountains of New Mexico," Glover said. "The history you can read in a book. But to meet the people and hear their stories, you really need to go to the place and let accidents happen." That's one lesson gleaned from a summer of uncommon research. Glover, a 20-year-old senior and theater major, spent seven weeks driving across America visiting national parks and historic sites. She is writing a play about the parks for her senior capstone project. Anyone who thinks a national park is a simple place of quiet beauty does not know them as Glover now does. Beyond the canyons and geysers are economic, environmental and moral questions that don't make the brochures. Native Americans were evicted to make way for some of the nation's landmark parks, Glover noted. Even today, creation of a national park may be seen by area residents as government intrusion. "A lot of locals hate it," she said. "People want to drill and mine, which environmentally would be a disaster, but economically the community needs it." Glover's fascination with the parks began during her western Massachusetts childhood. Her dad, a history buff, liked to take cross-country family road trips visiting national parks and presidents' homes. Glover's fond memories segued into scholarly research after she took a SAGES class on the National Park Service. Her adviser, David Vegh, MFA, an assistant professor in the Department of Theater, said research projects are unusual for theater majors but can be necessary—especially for a playwright. "If you're going to accurately re-create a world, you have to see it," he said. Glover's 9,000-mile trek led her through about two dozen national parks, monuments, forests and seashores. From that odyssey will come a play—a drama she hopes captures a slice of the complex beauty of America. As he got off the phone with a curious parent, Grant Hom sighed in sympathy and quickly recorded what he had learned. Yes, her child had celiac disease—she thought. Yes, the child seemed to get a lot of headaches. The mom wondered: Could the two be connected? After spending the summer talking with parents of children with celiac disease—an autoimmune disorder triggered by gluten—Hom understood far more about chronic illness. He understood that parents of sick children often are worried, busy and frustrated, especially if they receive different diagnoses from different doctors; and that they are dealing with plenty of ambiguity because symptoms can vary greatly from one person to the next and diagnoses often are not clear-cut. "From a scientific standpoint, that's the most important lesson I learned," said Hom, a Case Western Reserve junior from suburban Cleveland. "Disease is not black and white. It's a spectrum." Hom's work was part of a collaborative study by Cleveland Clinic's Neuroscience Institute and Department of Pediatric Gastroenterology examining the connection between celiac disease and headaches. It was a lofty posting for a 20-year-old, but one for which he felt ready. He began looking for medical research roles as a 10th-grader after placing first at a science fair. Hom said he caught the attention of Vincent Monnier, MD, a pathology professor at Case Western Reserve School of Medicine. Monnier's mentorship led to two related research projects Hom did at the medicine school as a high school student on age-related cataracts. He also did research at The University of Texas MD Anderson Cancer Center in Houston on radiation-resistant cancer cells during the summer of 2016 after his first year of college. His mentor on the recent summer project, A. David Rothner, MD, directs the Pediatric/Adolescent Headache Program at Cleveland Clinic and is a clinical assistant professor at the university. Study researchers are examining the frequency and types of headaches suffered by young celiac patients and the impact of a gluten-free diet on headaches. Under Rothner's direction, Hom reached out to more than 150 parents and chronicled their experiences. "He's obviously a talented young man," but that's not enough, Rothner said. "Grant has got—I don't know a better word for it—stick-to-it-iveness." Hom also is part of the university program granting undergraduate admission and conditional admission to the medical school, and said the summer experience heightened his interest in patient care and clinical research. Maybe more important, he thinks it gave him a start toward a good bedside manner. Brittany Rabb loved her education in the Cleveland Heights-University Heights school district. So it was a thrill to visit her old schools this summer to examine the demographic and economic changes she witnessed in high school but didn't fully understand. 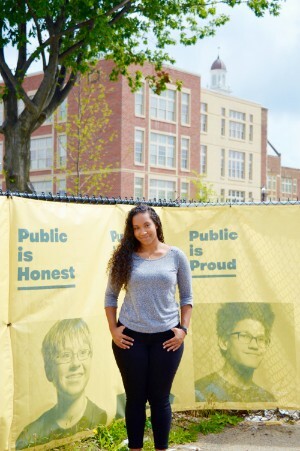 She returned with research skills and knowledge gained in college classes about broader trends and the challenges of public education in inner-ring suburbs. Rabb, who is 20 and biracial (African-American and white), met with district and school leaders and immediately was surprised to learn how much the district had changed just since she graduated. For example, the elementary school where she'd had many white friends was now down to its last three white students. "I literally said, ÔWhat happened?' I haven't been gone that long!'?" recalled Rabb, a junior at Case Western Reserve. "That's what drives me. I want to understand what's happening and why." While the Cleveland Heights population of about 46,000 is close to 45 percent black, the high school is about 80 percent. Rabb wanted to explore why an increasing number of white, middle-class students living in the district were attending private schools. A summer research project gave her a chance to find answers. Rabb worked with a university mapping expert to plot demographic changes in Cleveland Heights. She also interviewed principals, school board members and district administrators to learn how they were reacting to rising poverty and declining white enrollment. One big takeaway was that school officials have the dual challenge of promoting district strengths to middle class families while providing more services to an increasingly poor student population. Rabb graduated with honors from Cleveland Heights High School in 2015, just before it closed for major renovations. Voters had approved a nearly $135 million bond issue to rebuild several schools, but community forums and news stories revealed doubts and divisions. Rabb thought the timing was ripe for a study. Her mentor, Jessica Kelley, PhD, a sociology professor and a parent of a Cleveland Heights elementary school student, believes Rabb's research was important. "The study of complex social issues requires using multiple lenses of inquiry," Kelley said. "Brittany's project is distinctive in her use of both qualitative and quantitative methodologies. And Cleveland Heights is ideal for a case study." Rabb hopes her report will spark community discussions. "The research shows me things I didn't expect," she said. "That's what's fun and scary about it. That's the beauty."